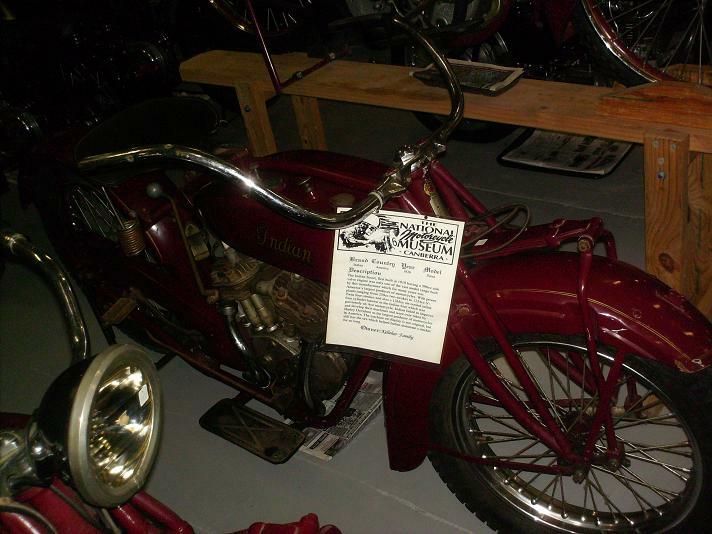 The Indian Scout, first built in 1919 having a 596cc side valve engine was only one of the vast model ranges built by this manufacturer which for many years was America's largest producer of motorcycles. With power plants ranging from the 250cc two-strokes to 1234cc V-Twin four-strokes and also a 1265cc air-cooled inline four cylinder known as the Indian four which was previously an Ace motorcycle. Indian failed to improve and develop their machines and were overtaken by Harley Davidson as the largest producer of motorcycles in America. The machine on display is not original, but still has the aura which helped Indian dominate a market for so long.